Almost dock time … If you plan to buy or sell a dock in the near future, or if you are just looking forward to warmer days spent dockside on the shore of Grand or Hudson lakes, the Grand River Dam Authority wants to help answer the dock questions you may have, and remind you to have your dock’s electric system inspected. Every year about this time, the Grand River Dam Authority poses the question: What’s up with your dock? 1) Is your dock properly permitted? 2) Do you have your dock sticker properly posted on the dock? 3) Have you had it electrically inspected? These are all important questions, especially for those who may be planning to sell a dock with lake property. 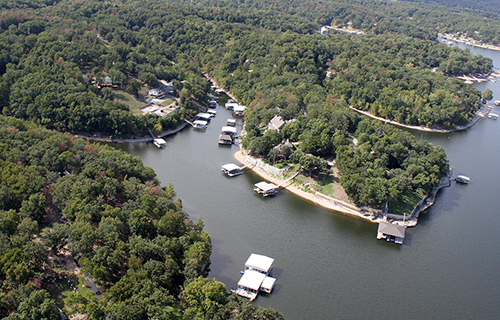 That is because you must have a properly permitted dock to help make the property transition process a smooth one, and with thousands of private docks around the lake shores and thousands of property owners, this transition process takes place a lot. However, whether or not you plan to buy or sell a dock, GRDA reminds you that a proper electrical inspection is still important. After a long winter of wave and wind action on the dock, it’s a good idea to have a licensed electrician check it out, to make sure that all electrical connections and components are still in place and in good working order. Just as you inspect your boat and get it ready for the boating season, you should do the same thing with your dock’s electric system. Please take that precaution if you plan on spending time on your dock this summer. And if you have questions about dock permitting you can always contact the GRDA Lake Permitting office at (918) 256 0852 or you can stop by the GRDA Ecosystems and Education Center in Langley.